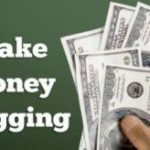 If you are having a blog with some traffic,You have to monetize your blog to make some money.You can make a good income online with the help of this ad publishing networks.There are a number of ad publishing networks and you can monetize your blog or website with these networks.I am here going to publish some ad publishing networks ,which is rated as high by different webmasters.You can also try this networks for earning a good income online with your blog or website. As I already said,there is some difficulty to add all the ad publishing networks to this post.So I selected some of the best networks for you to make money online. Just go through the below lists and select a network for your blog or website. Every one know that the Google Adsense is the leader in ad publishing network.So it will take first place in top ad publishing networks.Google pays more for publishers than any other network paying.If you are working hard with your blog,you can make a huge income with Google adsense.Due to the strict rules and regulations of the Google adsense,it is very difficult to get adsense approved.But you have a quality website or blog that satisfies Google Adsense policy,It will be approved easily. Adbrite is the one of the best alternative for Google Adsense.Since it is highly geo targeted network,most of the time the ad will not be available.If you are having a good traffic from UK ,you can earn more and the ads will be shown regularly.This was the replay got from Adbrite when I contacted them with the problem of showing ads.But when the ads are appeared,you will earn more.And also this network has a minimum payout of $5. Chitika is also a good advertising network.Yahoo closed their publisher network for smaller webmasters and suggested to use Chitika network.You can easily get an account with Chitika and can start making money with your blog. Smowtion is also another one good network.It was paying a lot on at first time and now its reduced the payment.It will show ads always and you can earn a good income with the pop under advertising with Smowtion network.The minimum payout of Smowtion is $100. Clicksor have number of ad types,it will help you to earn more.They are having text link ads and also banner ads.You can also earn a good income with clicksor. Infolinks is a text link advertising network.You don’t want to allocate a special space for this network.It will make the texts in your blog or website to a link for showing ads.You can also use this network with other add publishing networks to make an extra income online with your blog. Want to add anything?What you think about this networks? 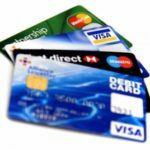 Should Bloggers Get a Business Credit Card? nice article. do u know how to increase web traffic for free…?